If you could peer beneath the ocean waves and glimpse the seafloor far below, you would see deep basins, vast mountains chains and long trenches. This is known as bathymetry. Understanding bathymetry helps us understand the rest of the planet as this landscape helps steer ocean currents that in turn affect climate change. It also influences hazards facing coastal communities, such as approaching tsunamis. The General Bathymetric Chart of the Oceans (GEBCO) community has been working for many years to provide the most authoritative, publicly-available bathymetric data sets for the world’s oceans. 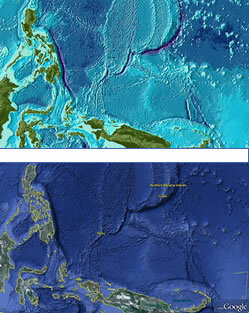 The recently released GEBCO 30 arc-second bathymetric grid (GEBCO_08) has been used as a basis for the 3D model of the oceans within Google Earth 5.0, to allow us to view the underwater landscape. The GEBCO_08 bathymetric grid has been developed using a combination of ship track soundings and satellite-derived gravity data. 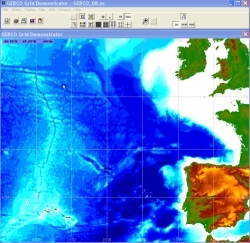 The GEBCO_08 Grid and the GEBCO One Minute Grid are both available to download from the British Oceanographic Data Centre (BODC). GEOTRACES is an international programme that aims to improve our understanding of biogeochemical cycles and large-scale distribution of trace elements and their isotopes in the marine environment. The global field programme will run for at least a decade and will involve cruises, run by a variety of nations, in all ocean basins. Although still in its infancy, the GEOTRACES programme's aim is to compile a global dataset for all key GEOTRACES parameters. 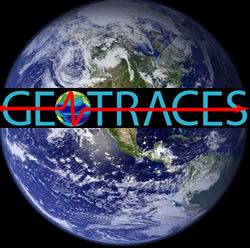 This dataset will eventually be available to the wider science community in accordance with the GEOTRACES data policy. 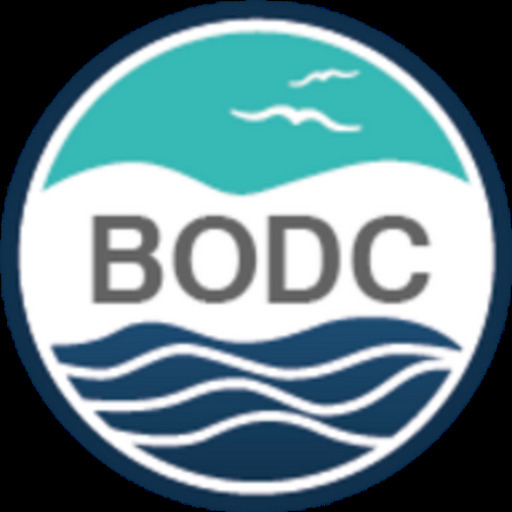 Edward Mawji has been appointed the BODC coordinator. He will be working closely with the GEOTRACES scientists to establish common metadata and format protocols and will also be responsible for the quality control and secure archiving of data that will be collected during cruises.